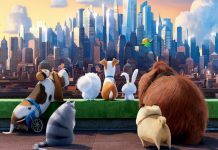 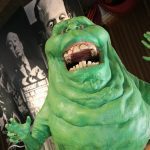 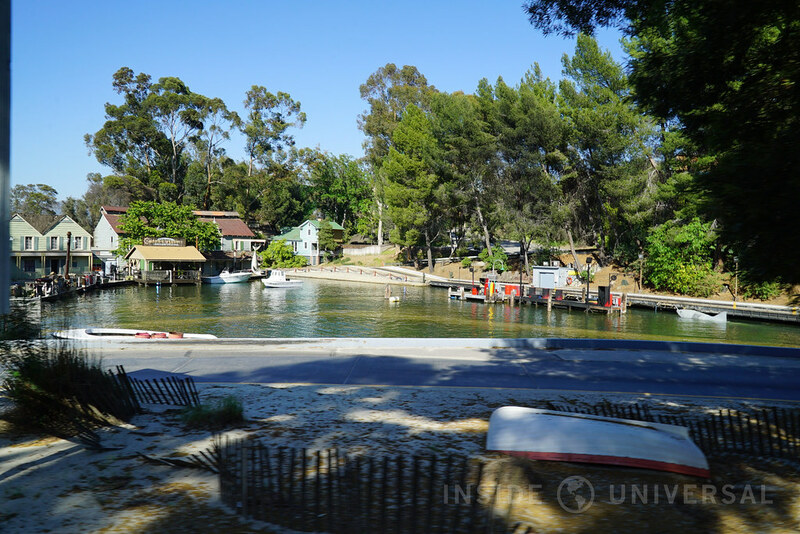 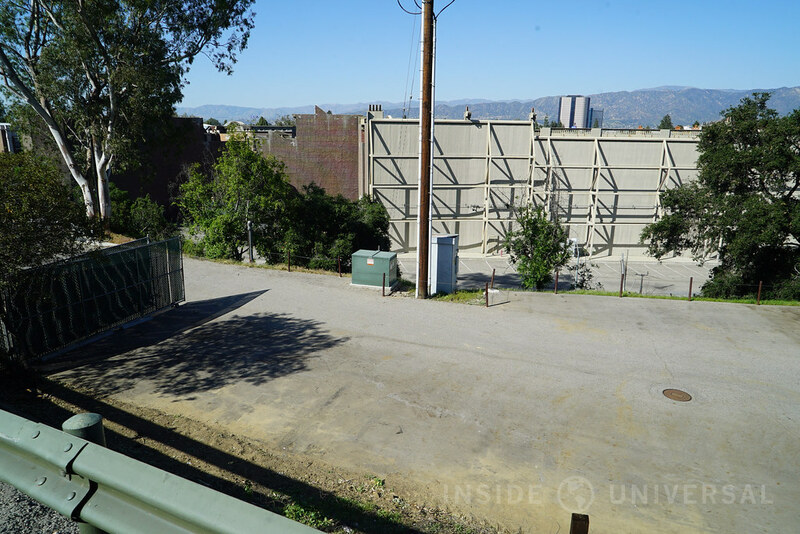 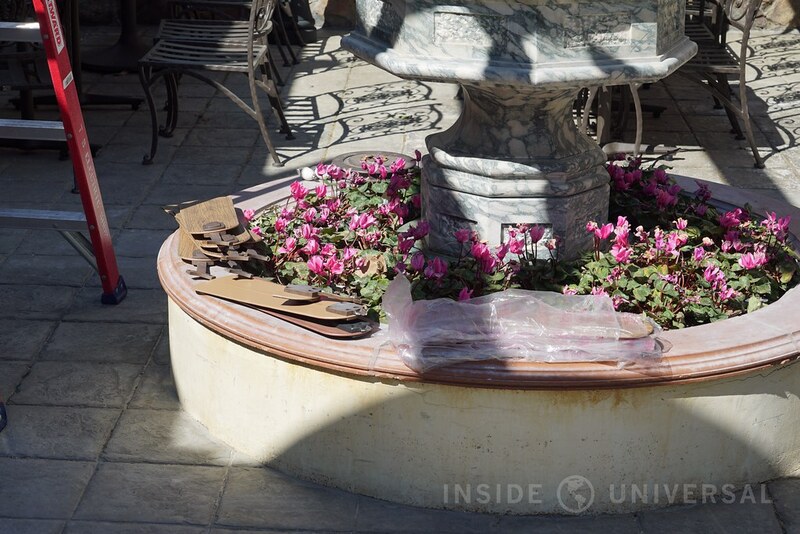 Welcome to another edition of the Inside Universal photo update! 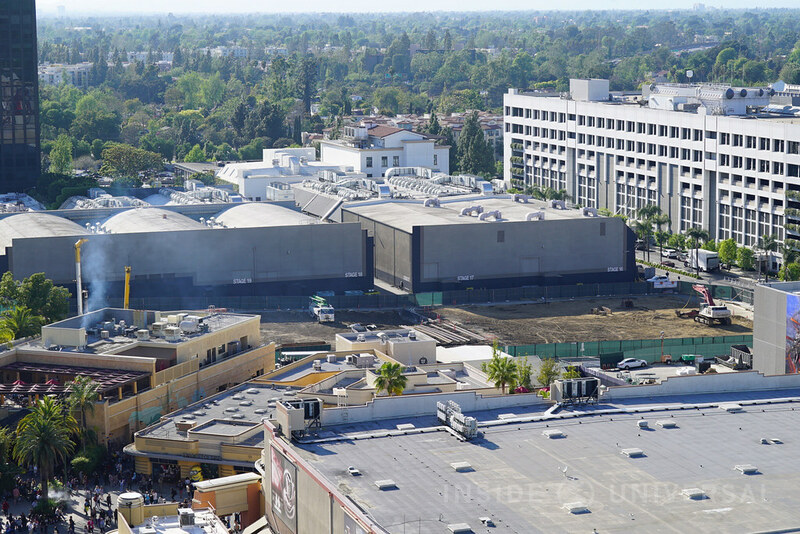 Since our last update, CityWalk Hollywood continues to evolve with some exciting new openings. 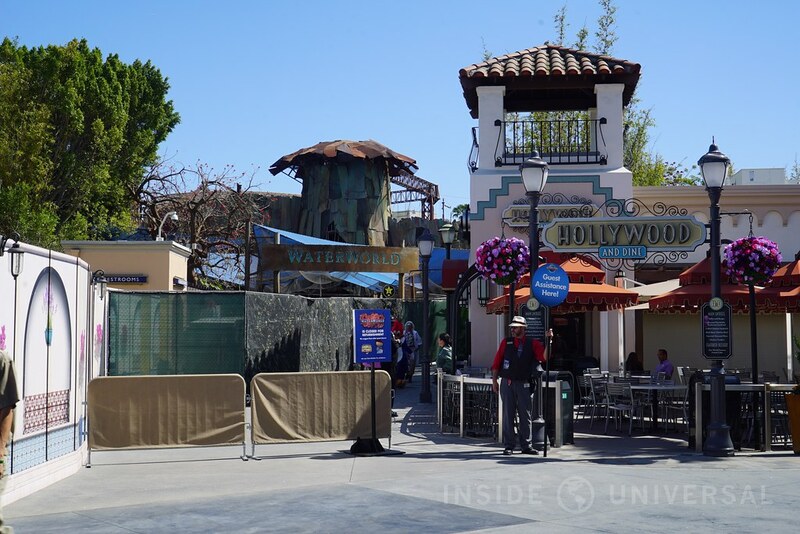 In addition, construction crews have also been reshaping portions of the theme park and studio with several new additions and modifications. 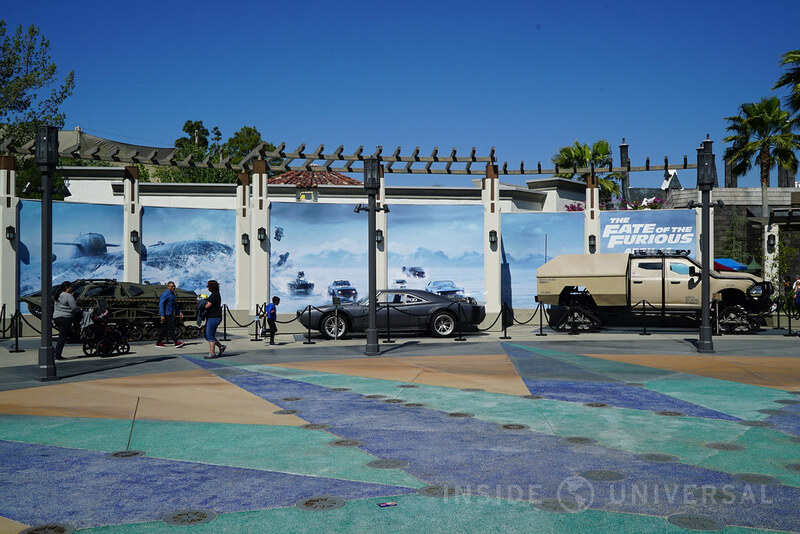 Finally, some of the vehicles from the up-and-coming movie Fate of the Furious have invaded both the theme park and CityWalk. 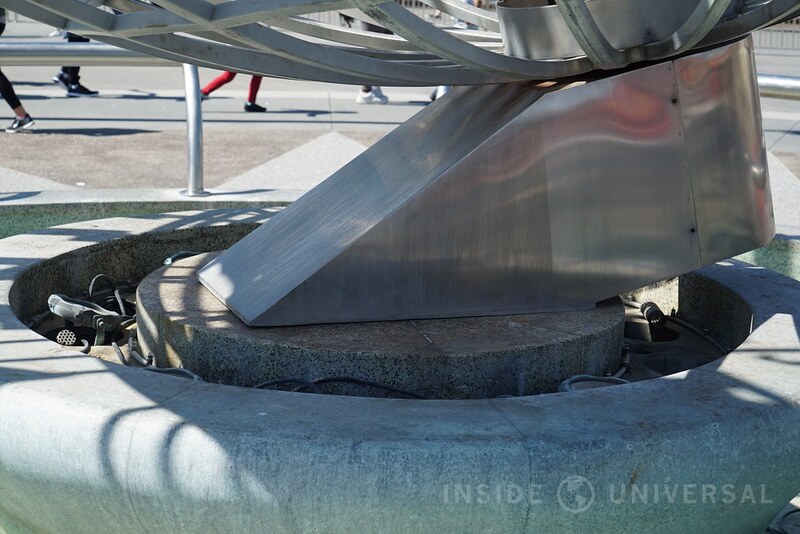 Enough talk, let’s just leap right in! 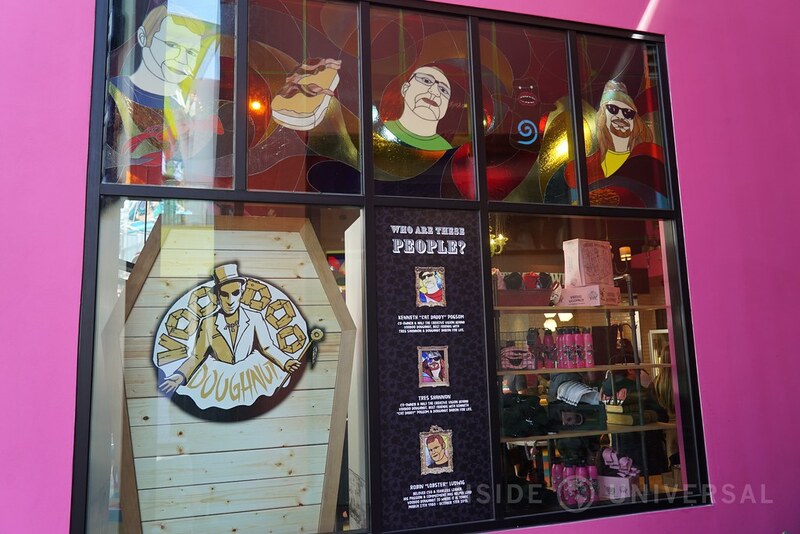 Voodoo Doughnuts has finally opened its doors, and is currently undergoing technical rehearsals. 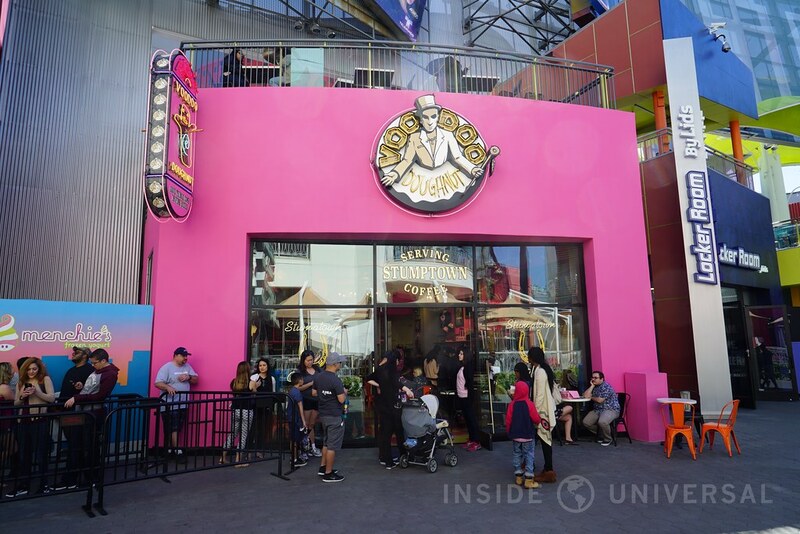 The doughnut shop commands long wait times due to its overwhelming popularity – all created by the shop’s unique offerings of donuts and treats. 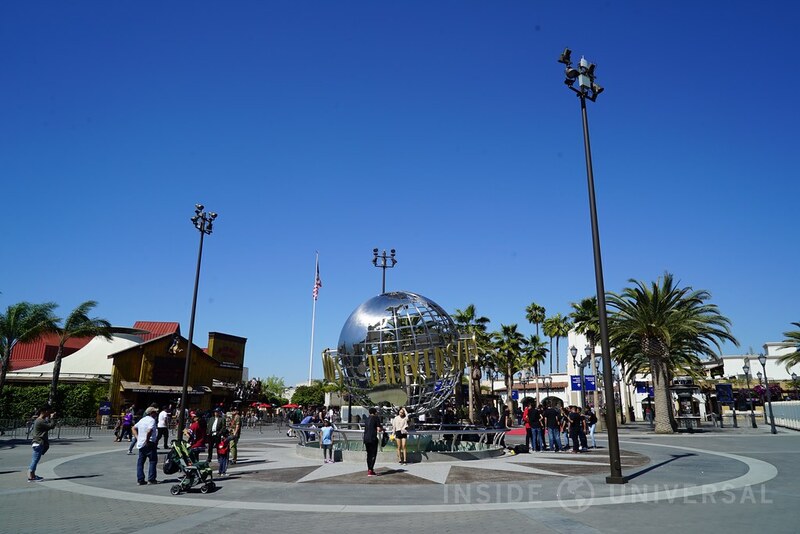 In fact, due to this demand, CityWalk has even added an extended queue area to slowly siphon patrons from one side of the walkway to the other. 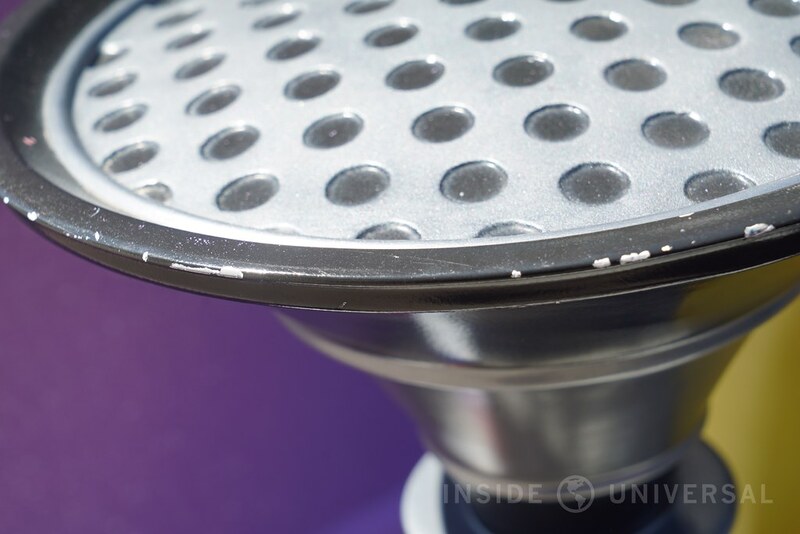 Still, the doughnuts are pretty great, and we think it’s worth the wait – at least once. 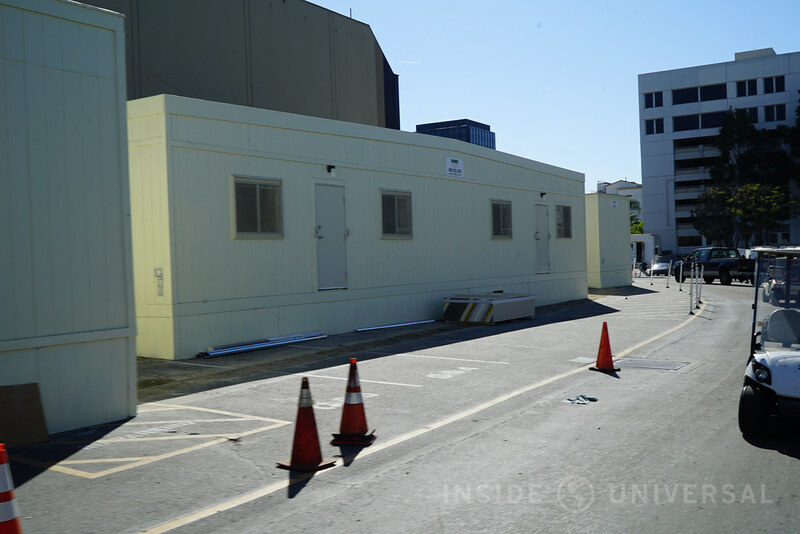 Meanwhile, planning and construction both continue behind closed doors at the future location of Menchie’s Frozen Yogurt next door. 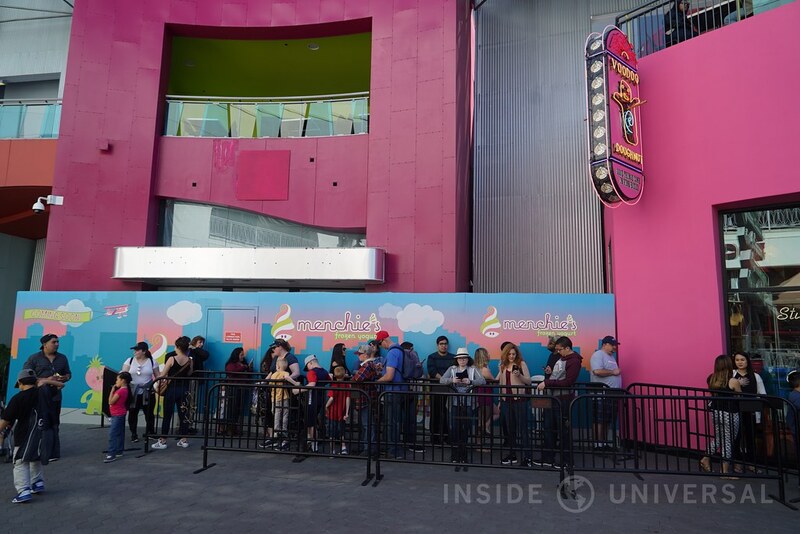 With the aforementioned long wait times for Voodoo, it will be interesting to see how Universal handles massive amount of people once Menchie’s is open. 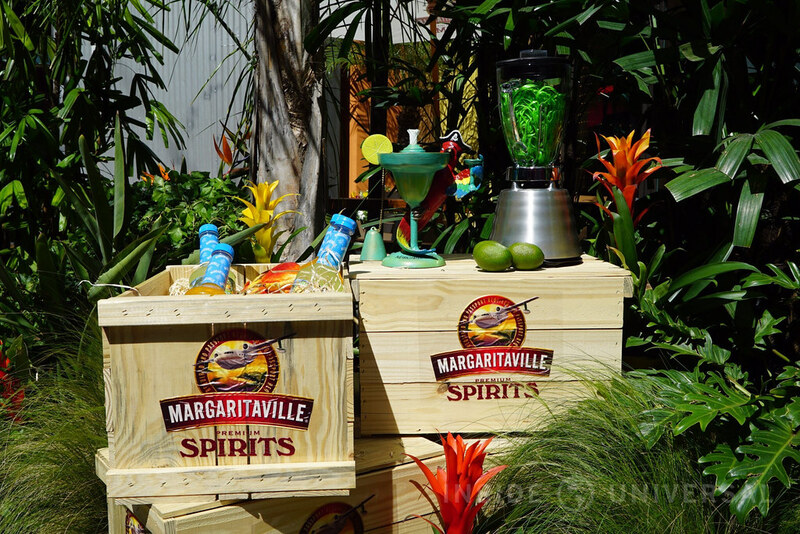 Meanwhile, on the opposite side of CityWalk, Jimmy Buffett’s Margaritaville recently had its grand opening and is officially open for business. 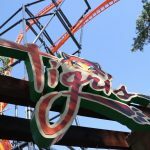 If you haven’t done so already, be sure to give our opening day report a read. 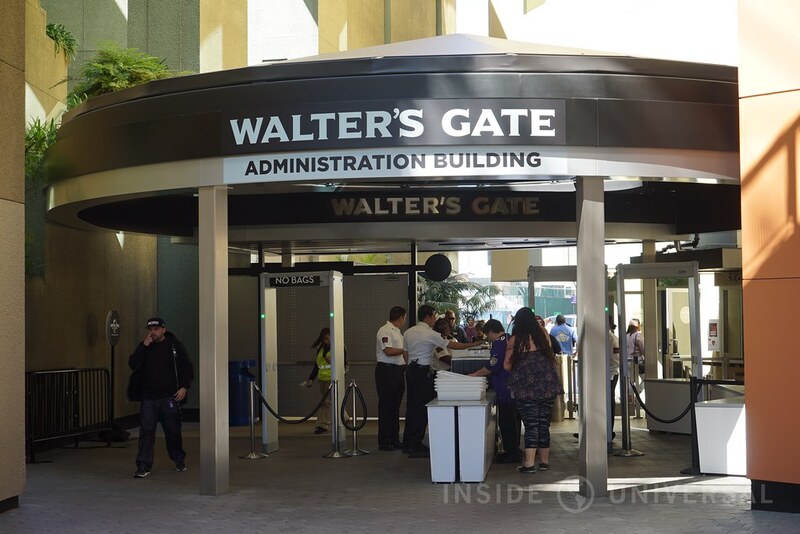 Finally, the redesign of Walters Gate has also been completed, making the employee entrance a little more presentable and modern to employees and guests alike. 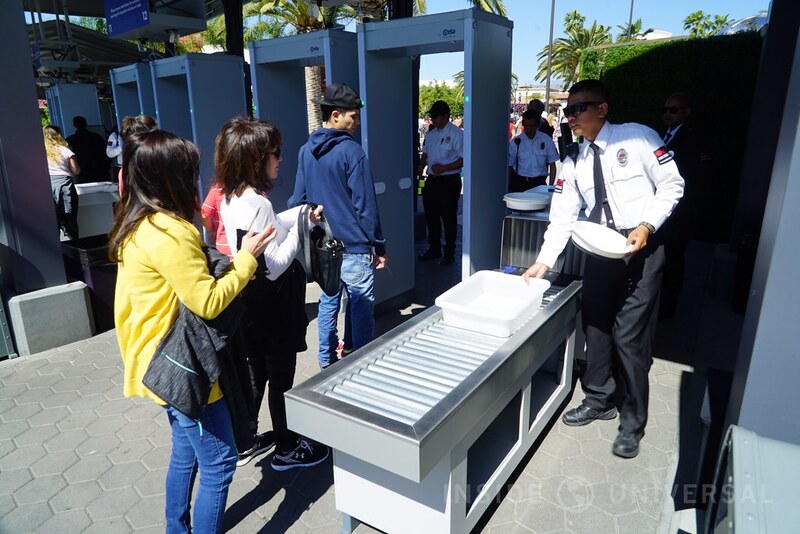 At the park’s main gate, X-ray machines have been added to the majority of security lines in order to expedite the screening time for guests with bags. 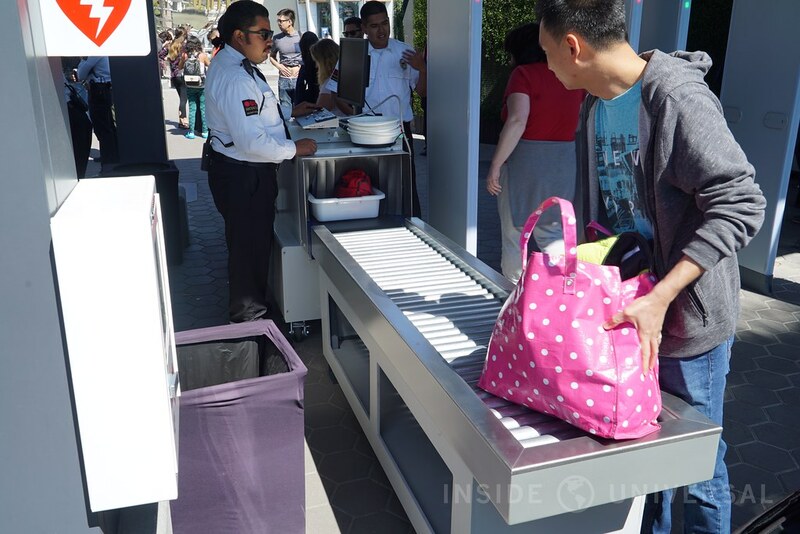 The new system will allow security to check bags more effectively without the need to search every individual bag for prohibited items. 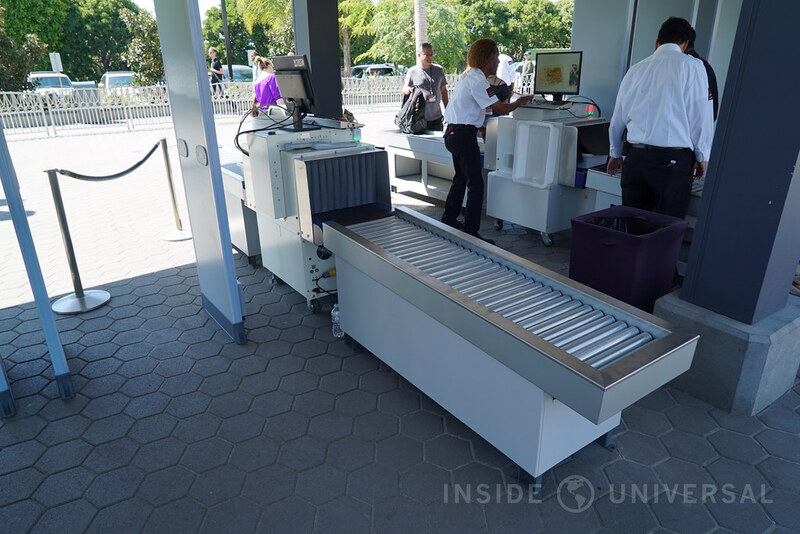 Guests without bags will be directed to lines without X-ray machines. 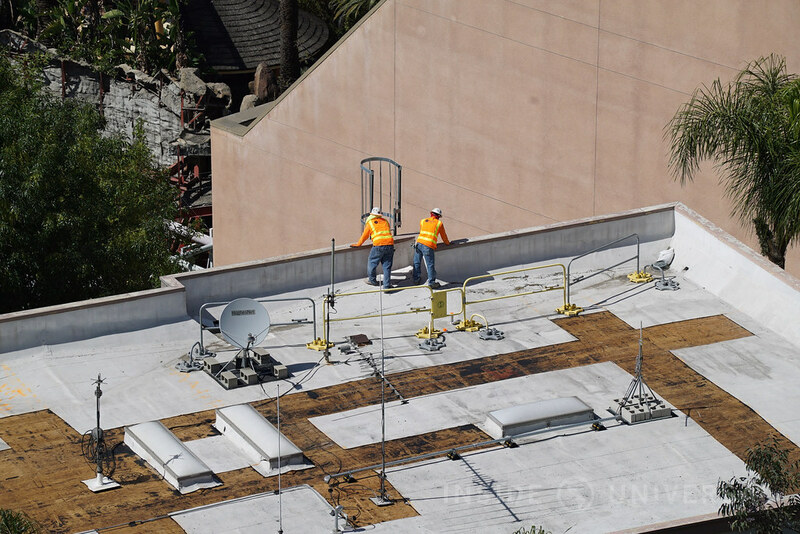 In addition, new floor work around the Universal globe has also been completed, and a star dotted with glass has been added to give the surrounding area some extra shine. 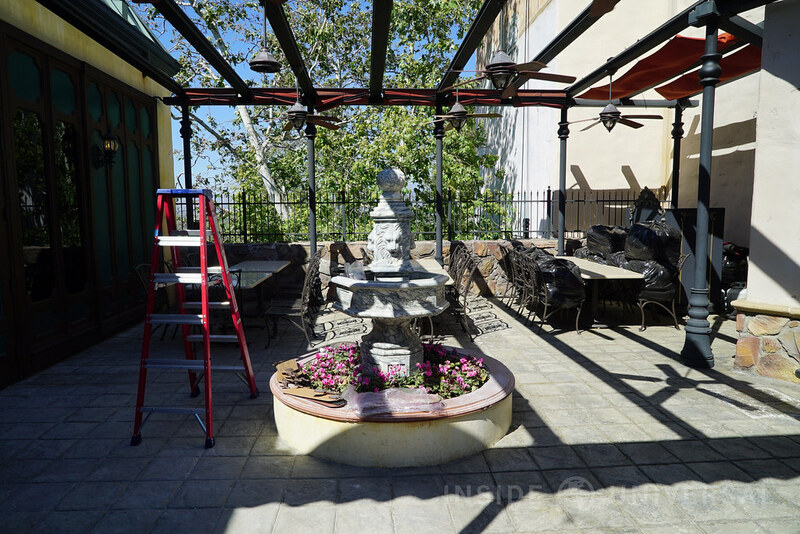 The choice of colors plays well with with the art deco motif that has permeated the surrounding architecture. 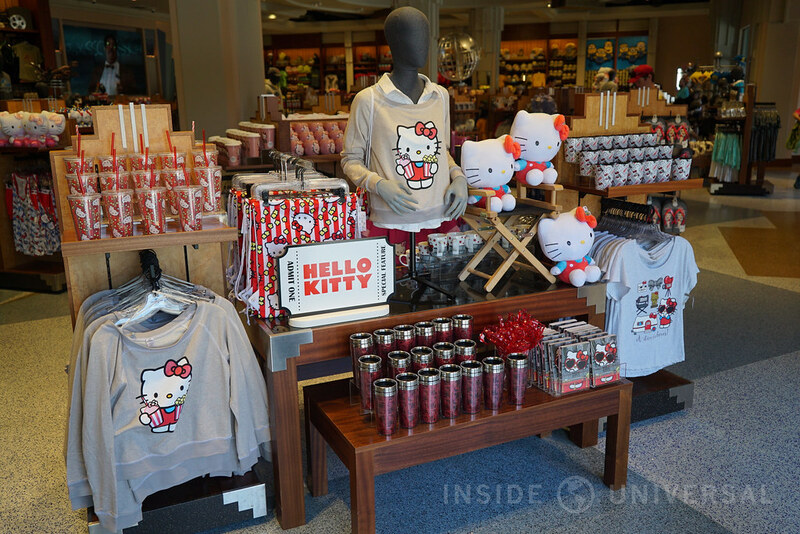 Hello Kitty has made her debut in Hollywood at the Universal Studio Store. 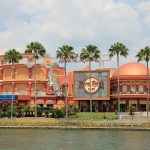 Last year, a Hello Kitty merchandise location opened at Universal Orlando Resort, with exclusive merchandise only found at the Orlando location. 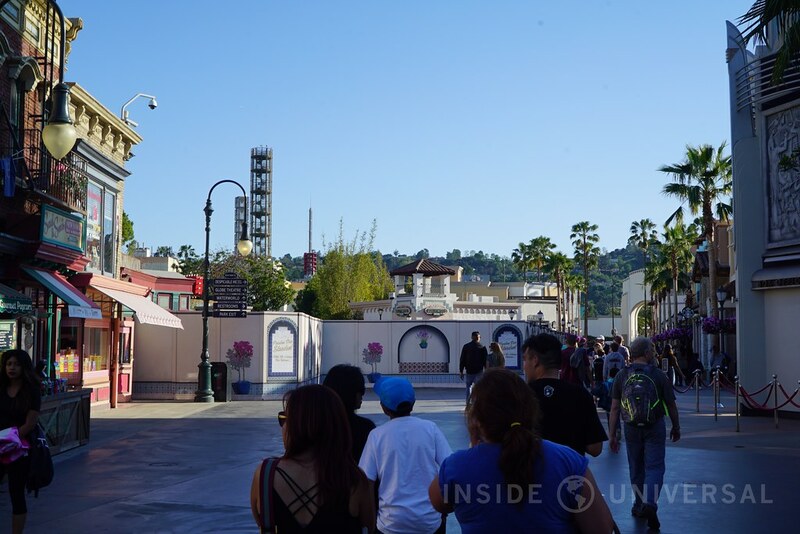 Since then, some of that merchandise is slowly making its way to the west coast, with Universal Studios Hollywood now offering merchandise featuring a humorous blend of pop culture infused with Hello Kitty. 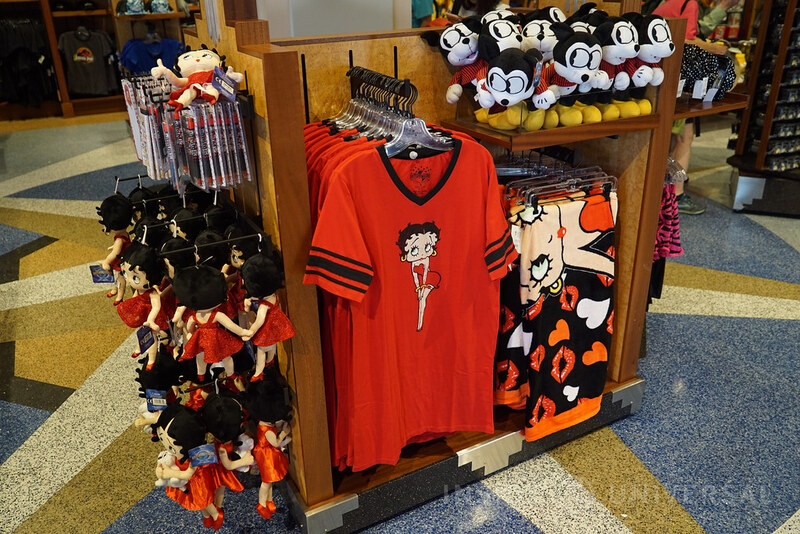 Given the demolition of Cartooniversal, merchandise from Betty Boop has also been combined with the new Hello Kitty merchandise to create a small cartoon section reminiscent of the recently defunct shop inside the Universal Studio Store. 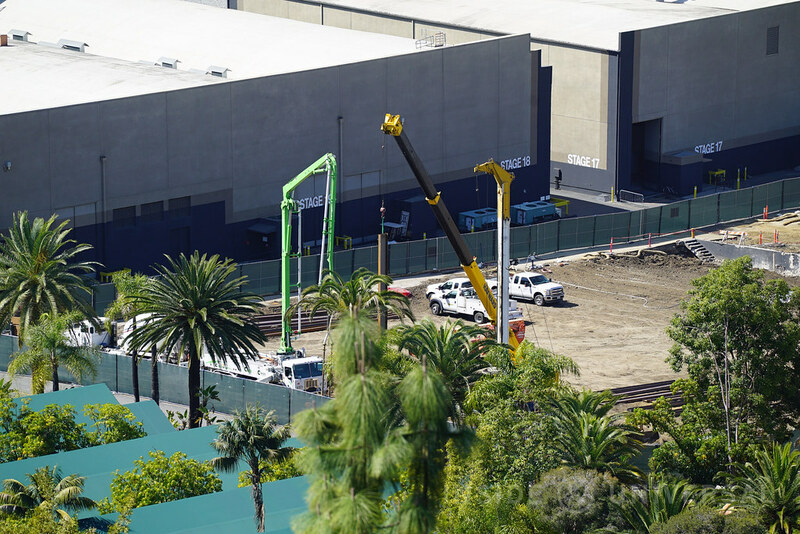 Moving to Cartooniversal and WaterWorld, little progress can be seen from the construction walls that line the main entrance way into the park. 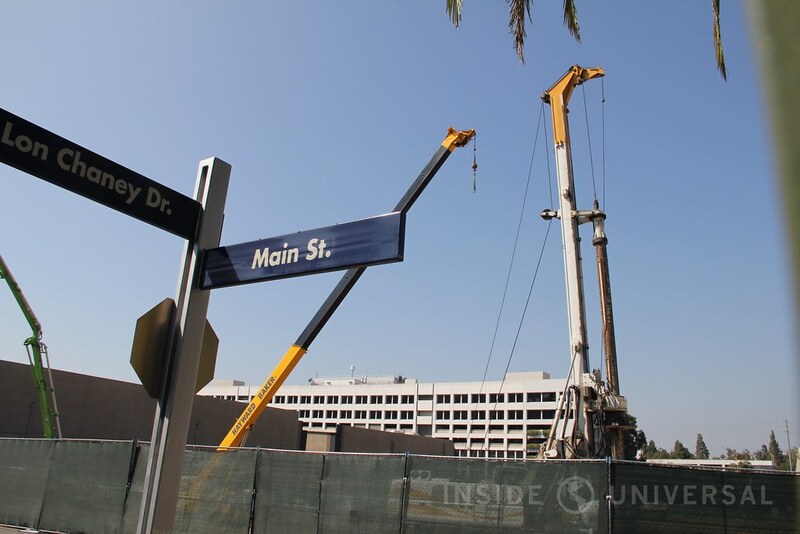 Crews have continued to adjust construction walls on an almost day-by-day basis depending on the scope of construction. 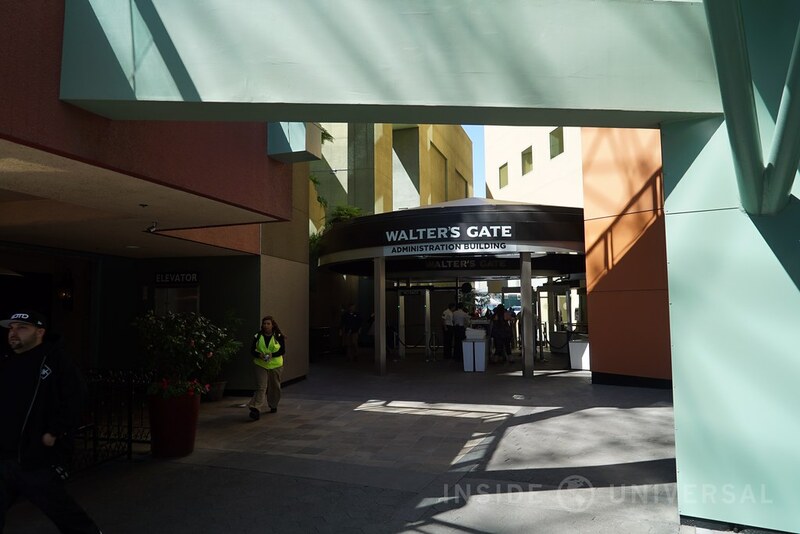 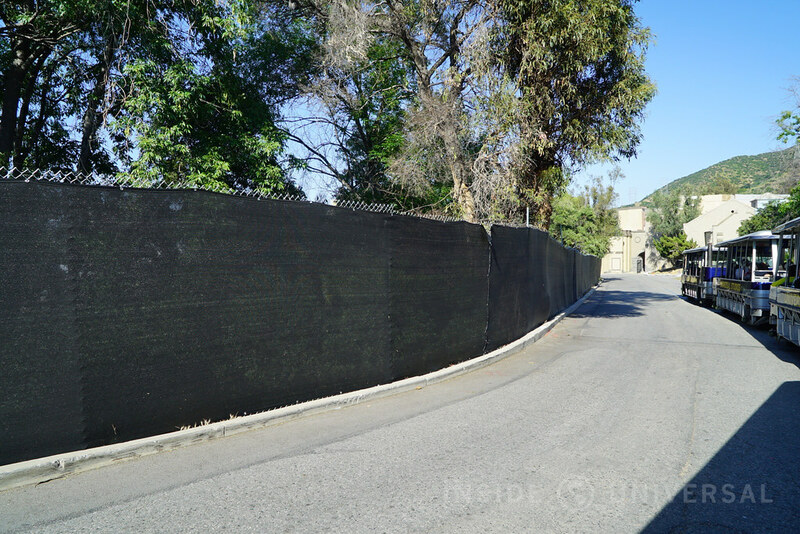 In the past, team members used a gate behind Cartooniversal to enter and exit the park. 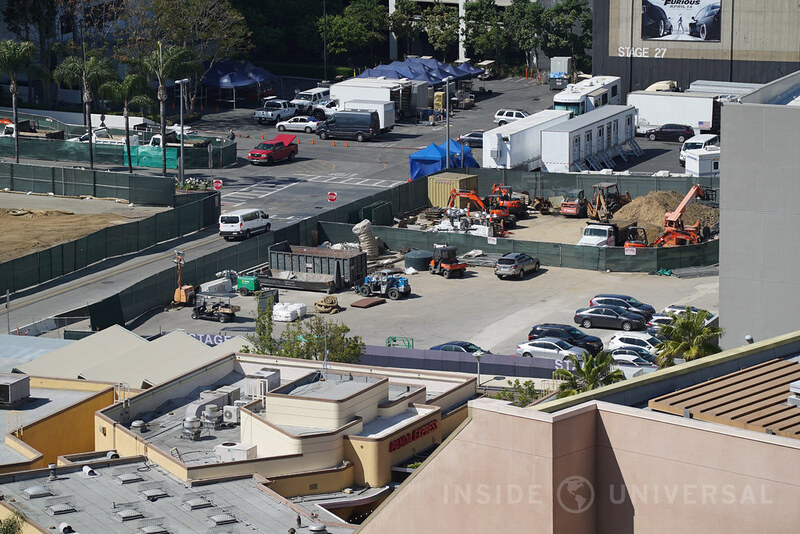 With that area now walled off, they now must enter on the opposite side by Hollywood & Dine, past the entrance of WaterWorld. 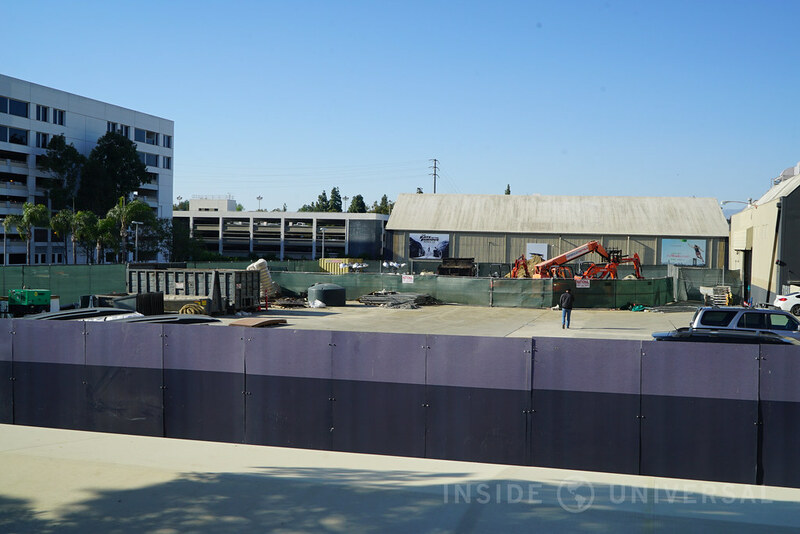 As an aside, framing is also going up for a new building right behind the WaterWorld restrooms. 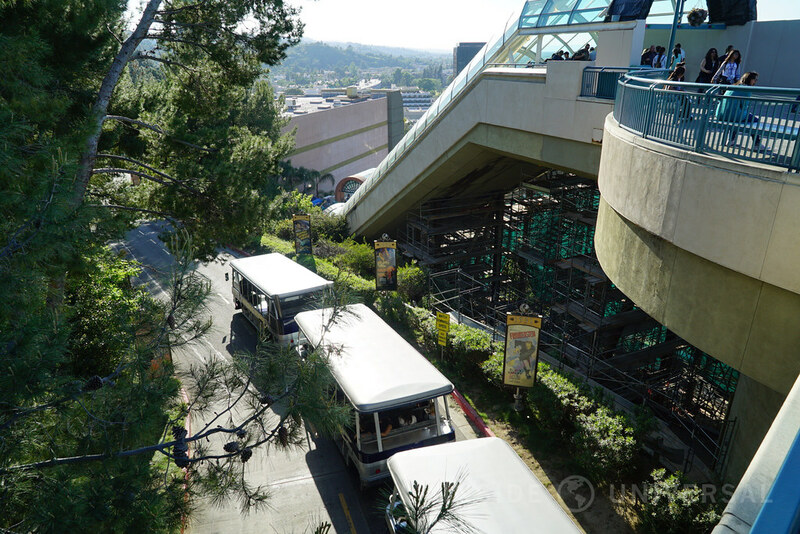 Picture cars from the latest film in the car-crazy Fast and Furious franchise are now being featured at CityWalk and inside Universal Plaza. 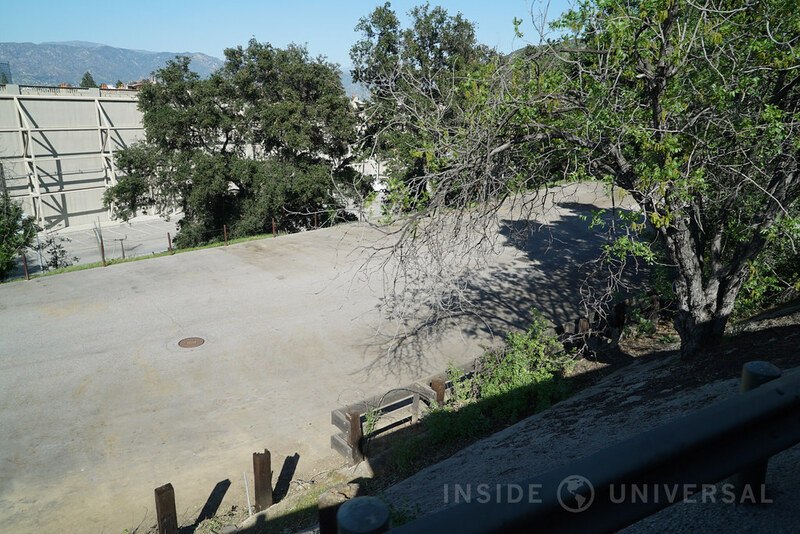 The vehicles consist of Roman’s Bentley, a souped up Dodge Charger, and a tank-like beast called a Howe & Howe Ripsaw. 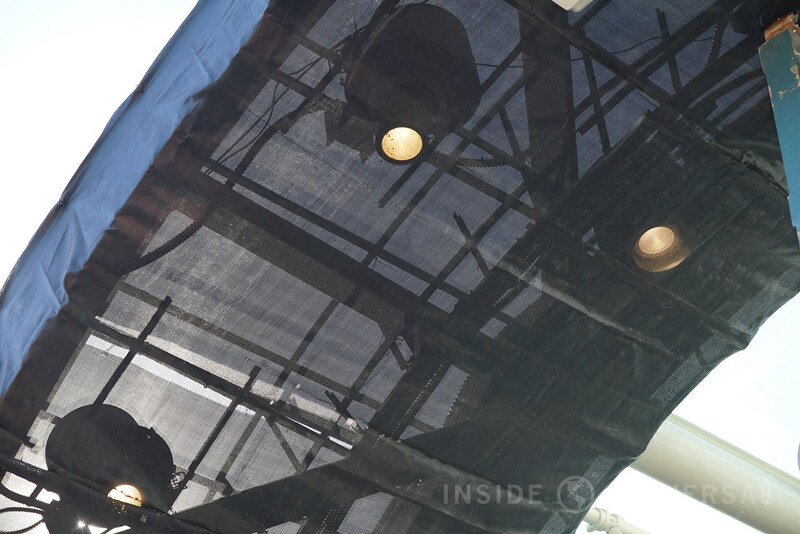 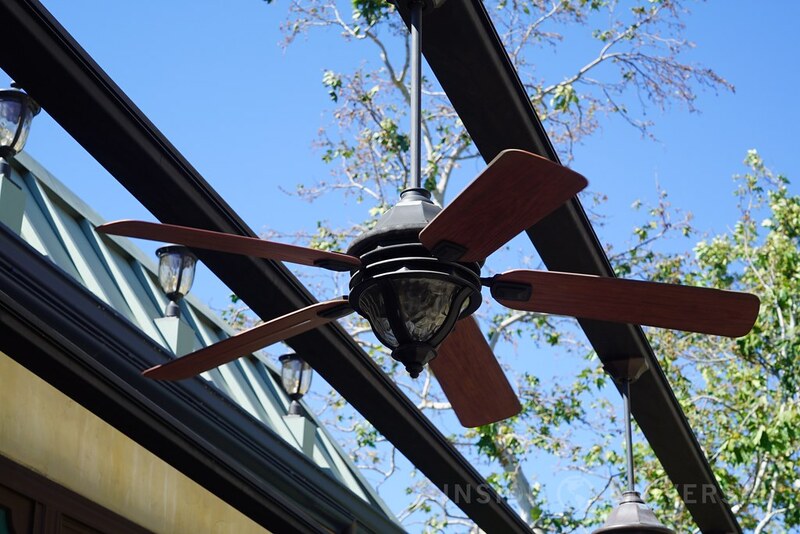 In other news, the Moulin Rouge building has undergone a slight refurbishment, with crews adding new fan blades to the ceiling fans. 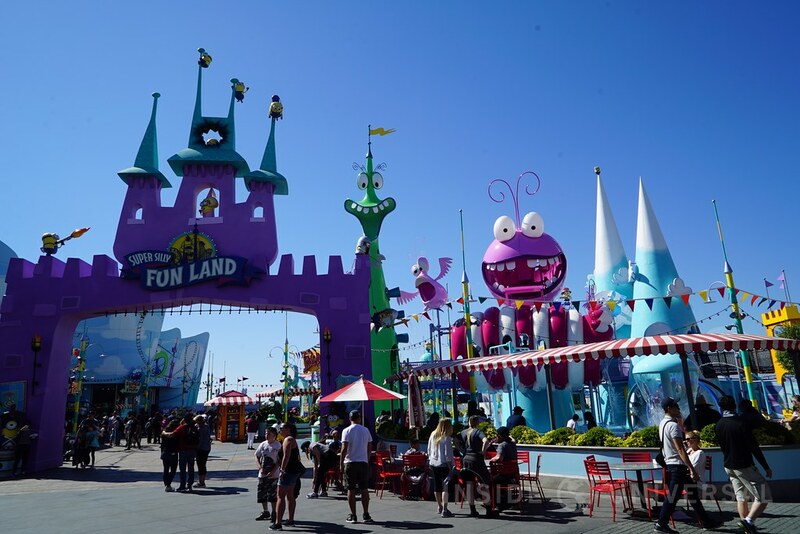 In happier news, Super Silly Fun Land has reopened with a fresh new coat of paint, allowing the land’s colors to pop once again. 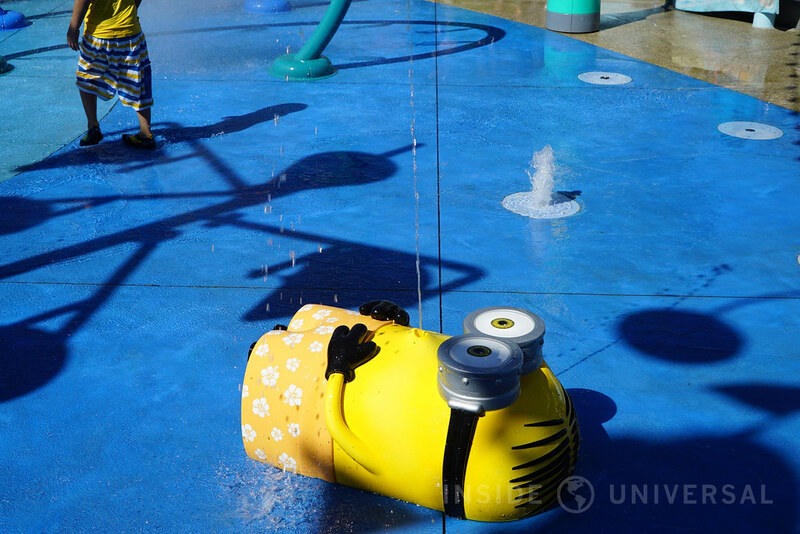 The water has been refilled and the playground was being put to good use over the busy weekend. 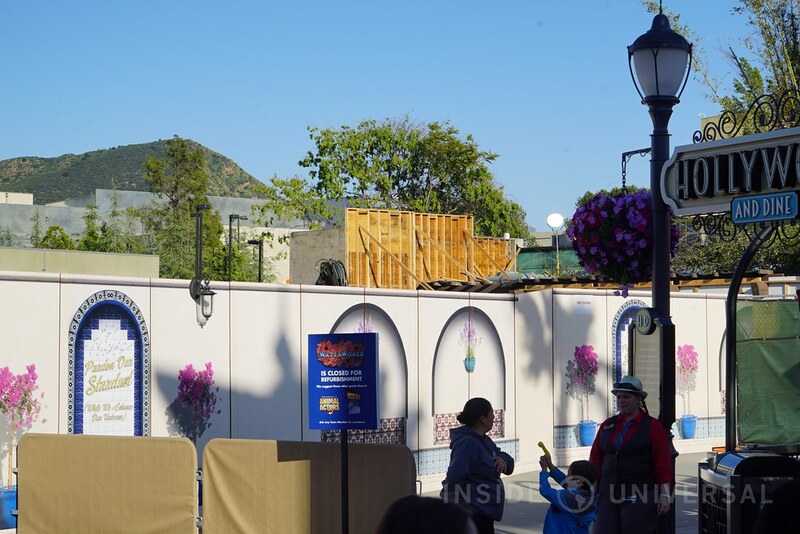 It’s interesting to note that even though the entry arch was completely covered during the refurbishment, construction crews still missed several spots on the poor minions guarding the way. 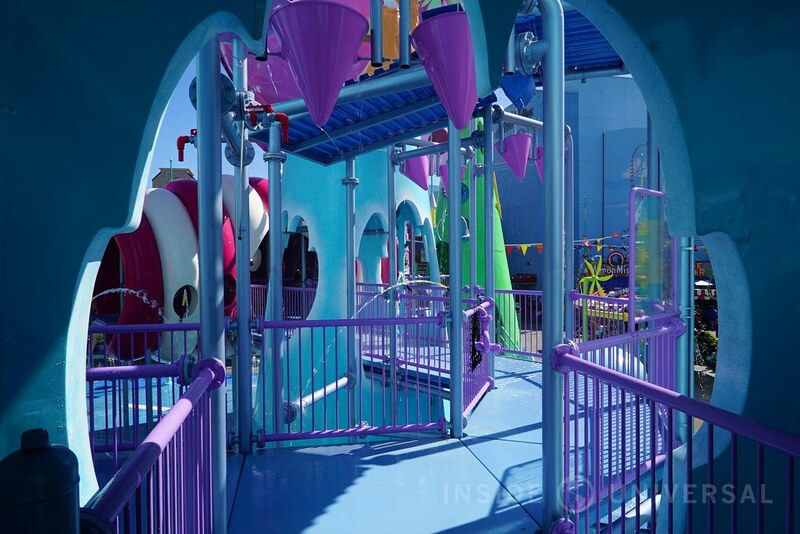 That being said, Super Silly Fun Land is looks fantastic with its new coat of paint. 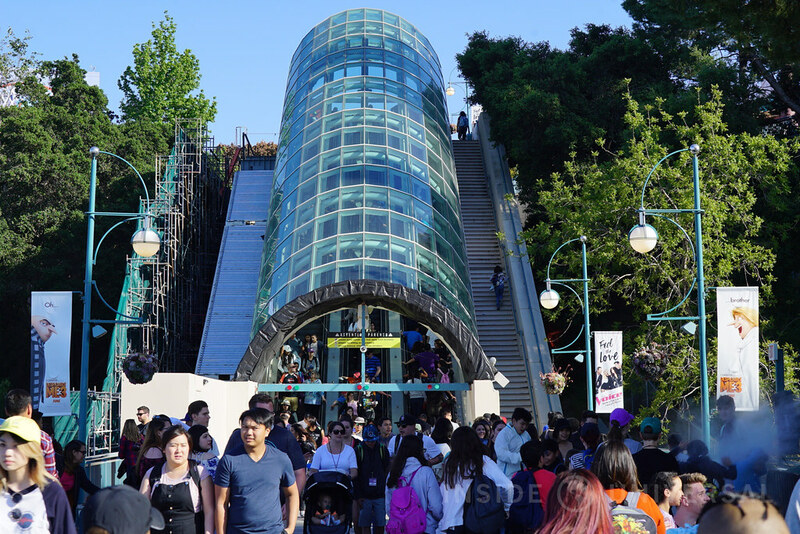 Moving to the StarWay, the fourth escalator bank is starting to form on the valley-facing-side of the StarWay. 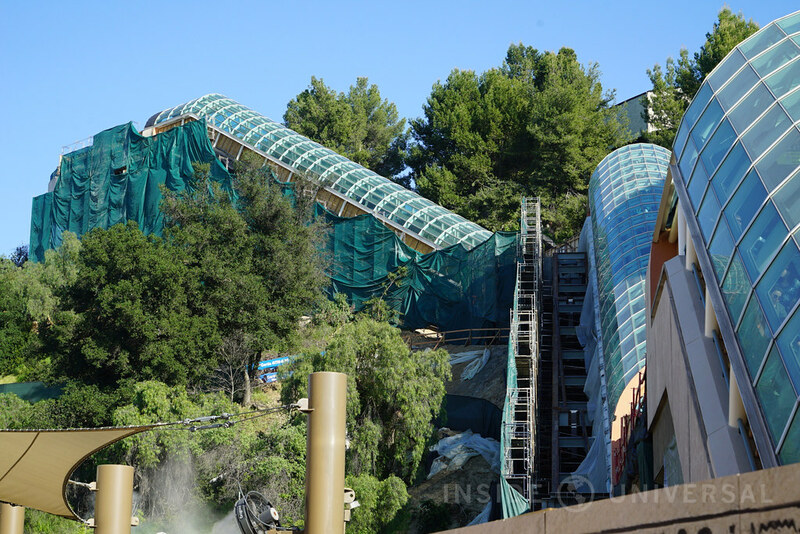 Crews have removed most of the pink stucco borders that once bookended the escalator banks, covering the remaining frames in a black tarp. 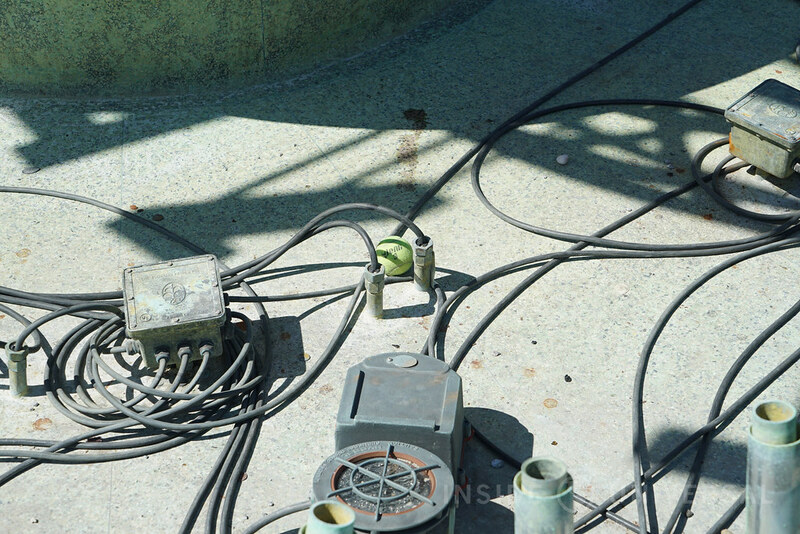 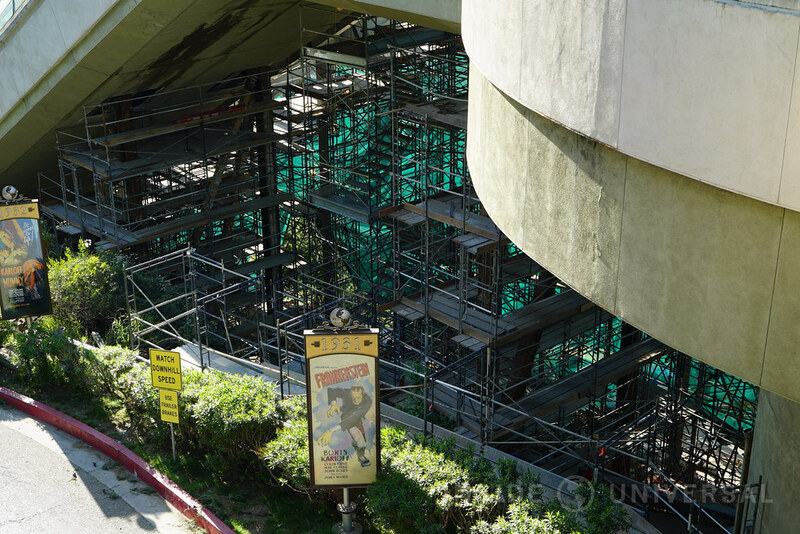 Other decorative aspects are also being removed as the teal colored metal work is slowly cut away and removed to make way for an updated StarWay aesthetic. 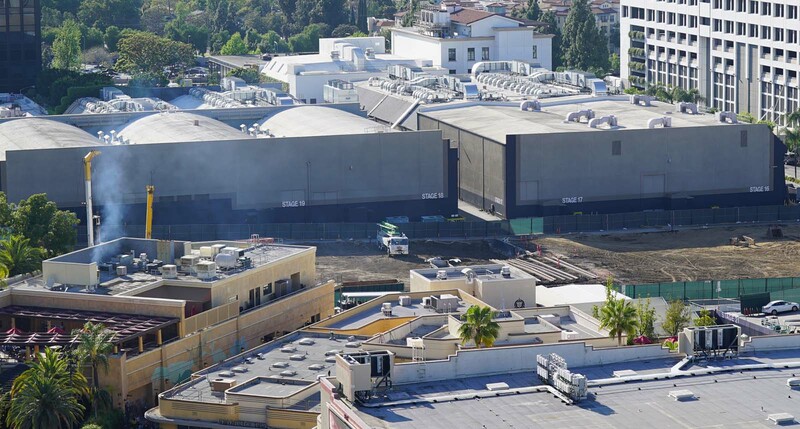 Going along with Universal’s new five year plan, work has begun to refresh Fire Station 51. 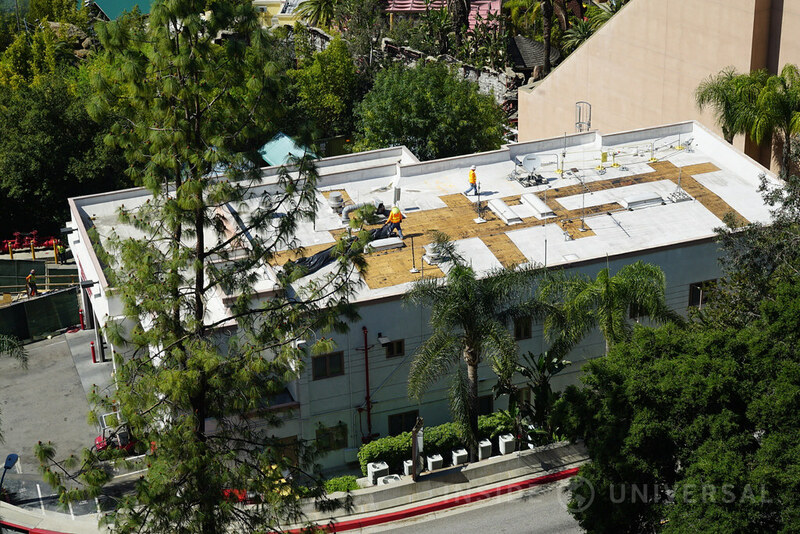 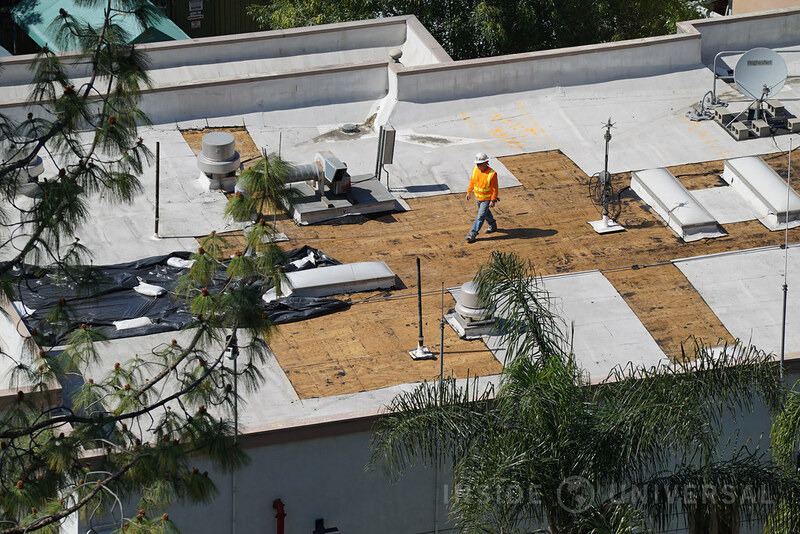 Workers can be seen on the rooftops preparing the area for incoming changes. In addition, Soundstage 22, 23, 24, and 25 have now been completely demolished to make way for future theme park expansion. 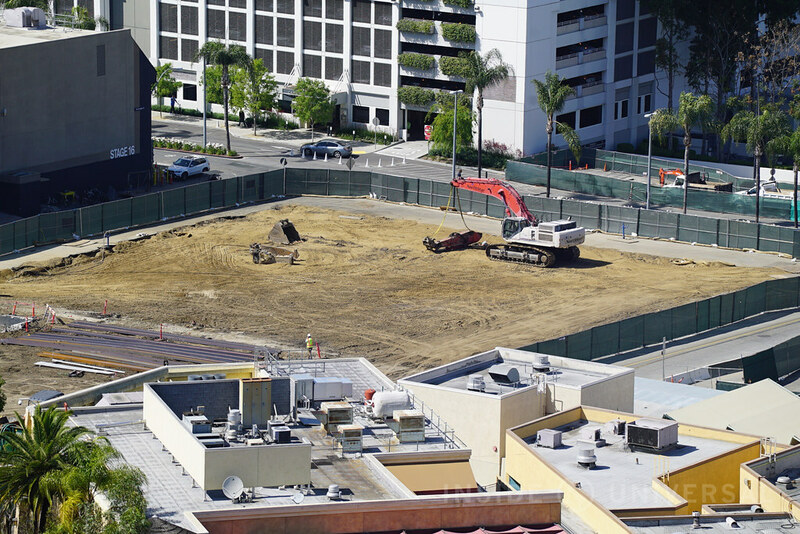 Giant dirt plots now now occupy the plot of land where massive sound stages once stood. 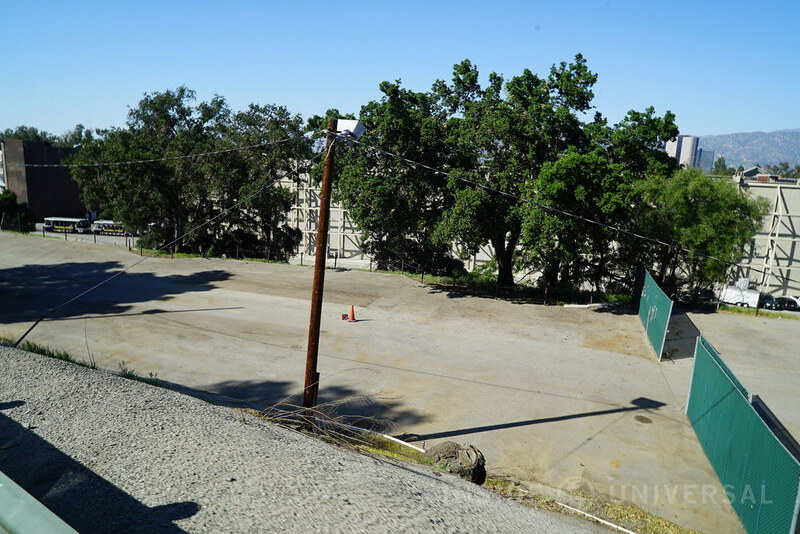 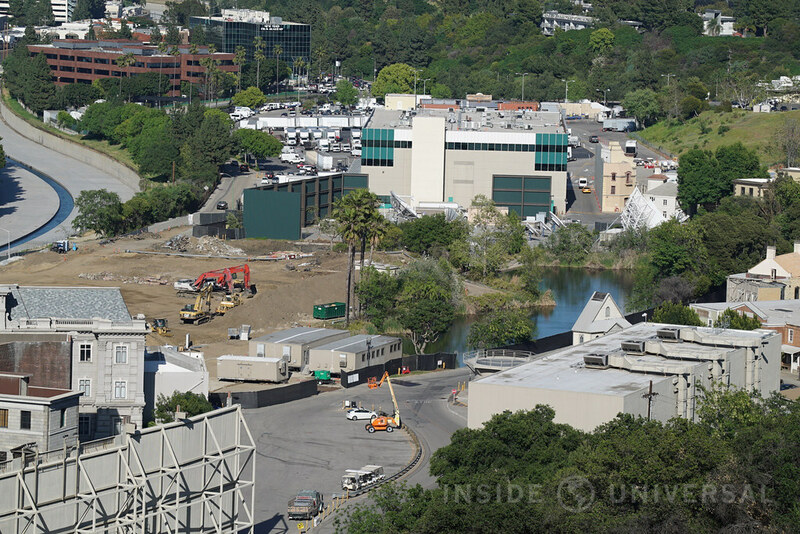 The final shape of the newly expanded area is still very much a mystery, but it’s a safe bet that we’re going to see a completely transformed Lower Lot in the coming years. 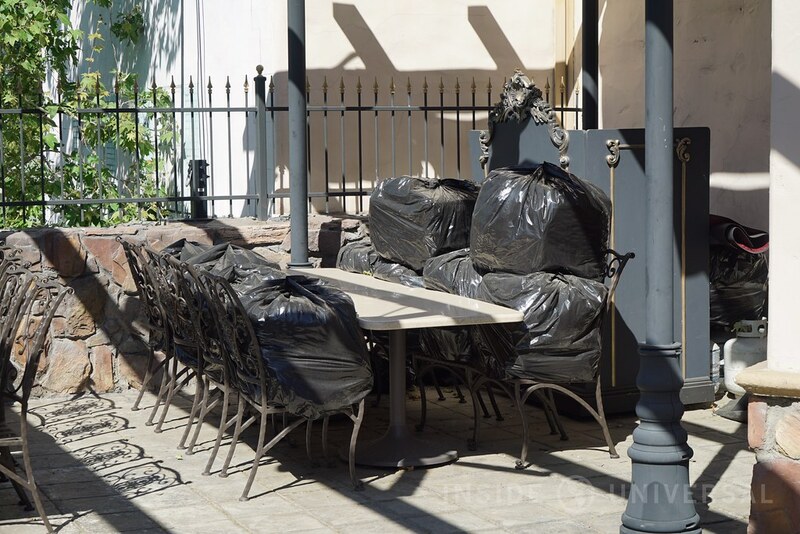 Meanwhile, the old Greenery Department – which really became a storage area over the years for props – has been completely cleared out. 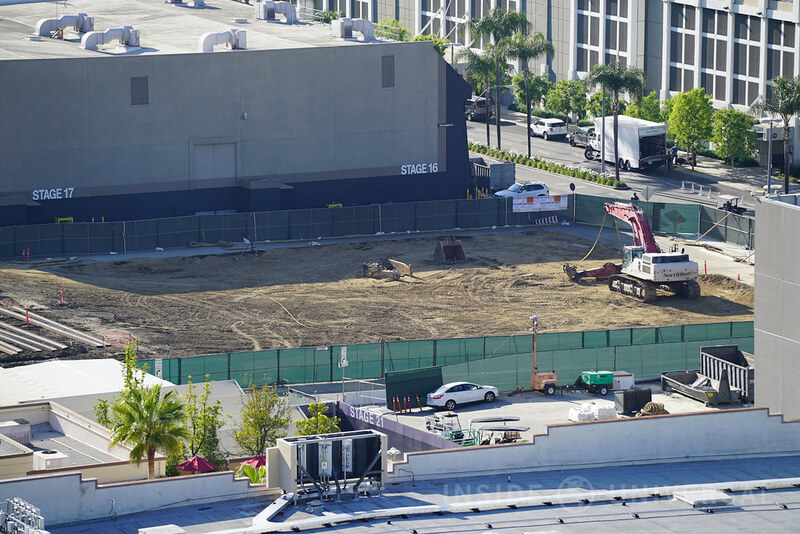 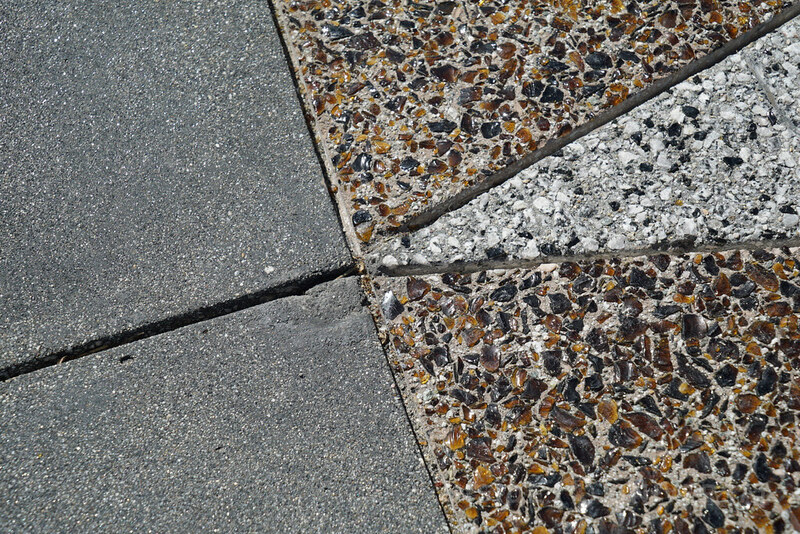 No word yet what could be happening at this space. 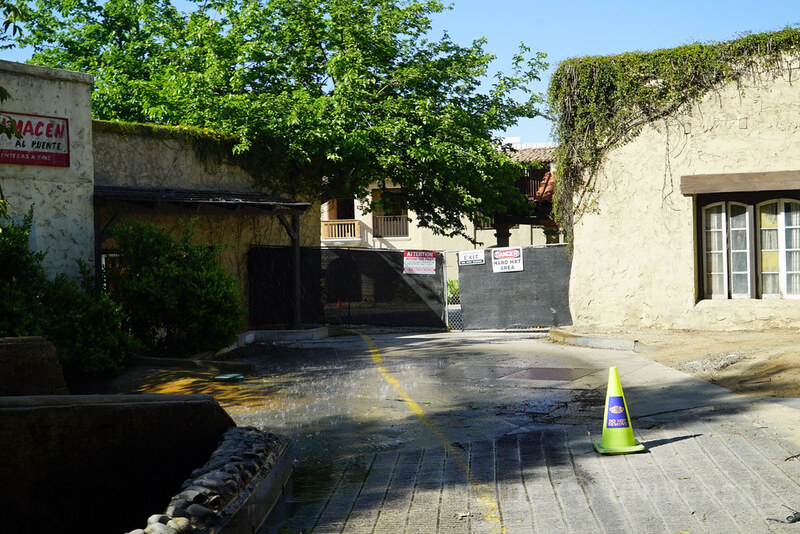 In addition, restoration work continues on at Old Mexico and Six Points Texas as crews add new coats of paint to some of the oldest buildings on the entire property. 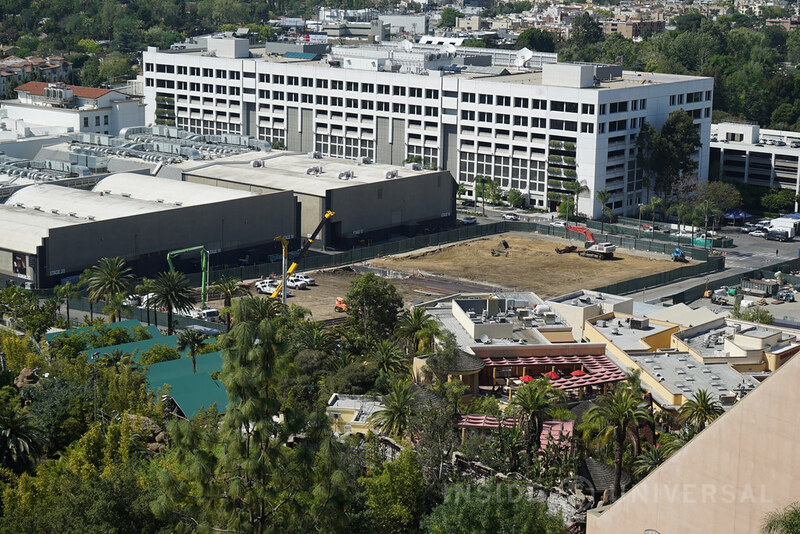 Moving further across the lot, work on the former Red Sea animation moves at a steady pace as crews push to form the foundation of several new future soundstages. 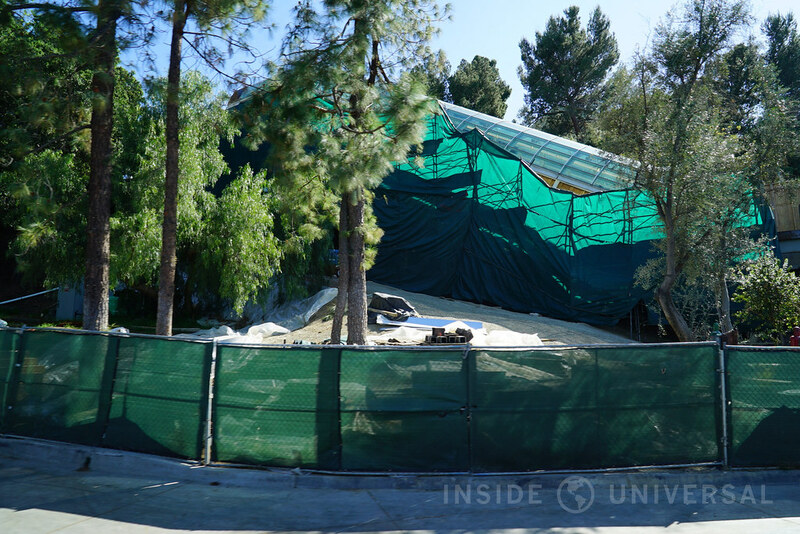 While this is occurring, the classic tour animation has been walled off to prevent access. 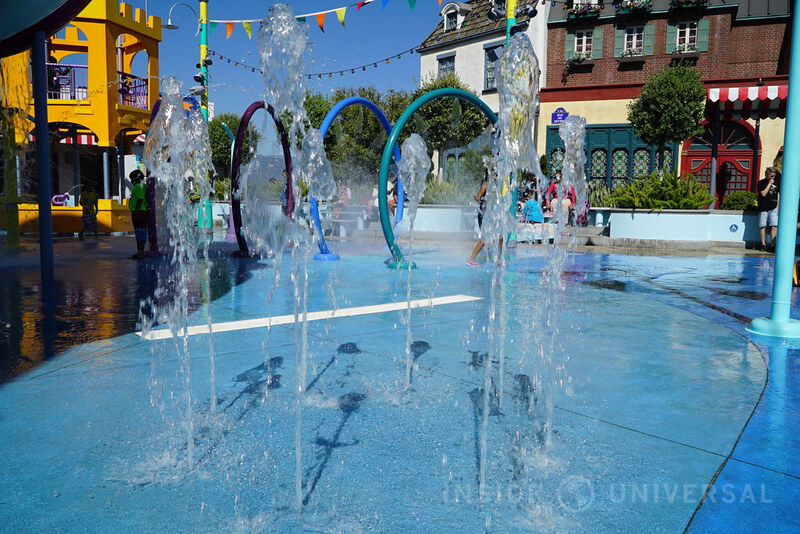 Last but not least, the Jaws animation reopened after a small refurbishment late last month. 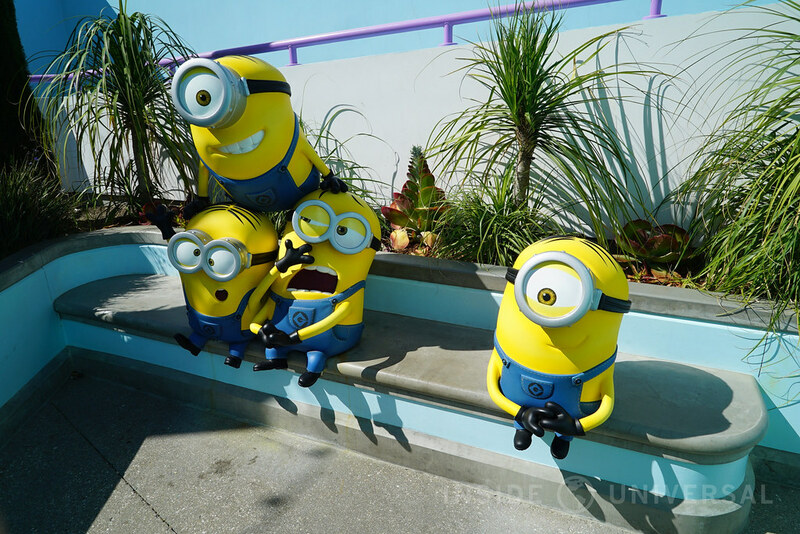 Thank you for joining us for this week’s photo update! 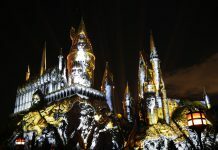 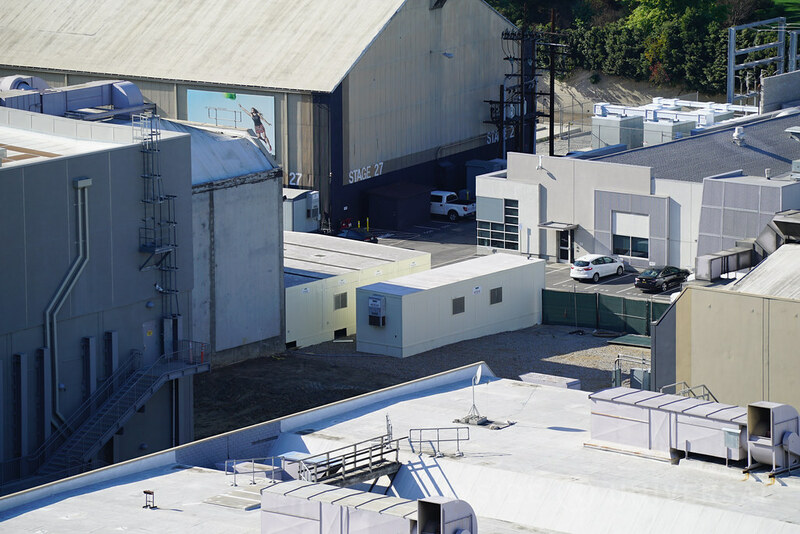 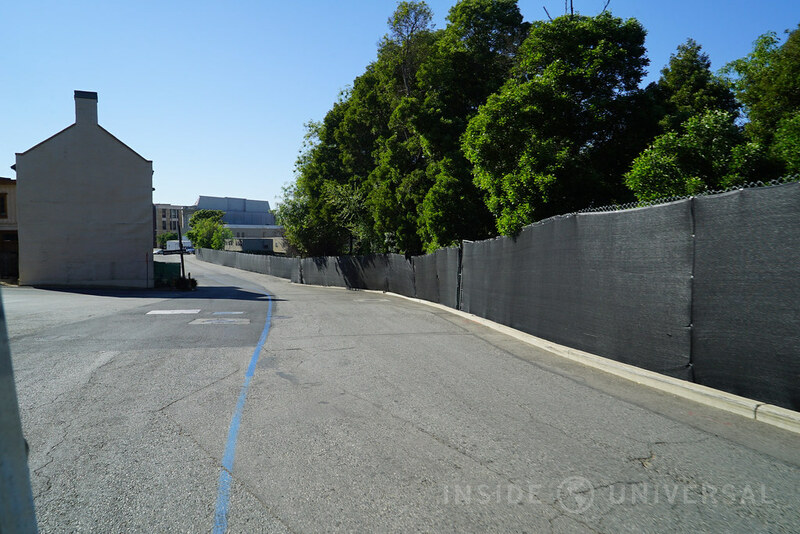 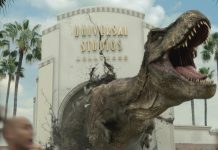 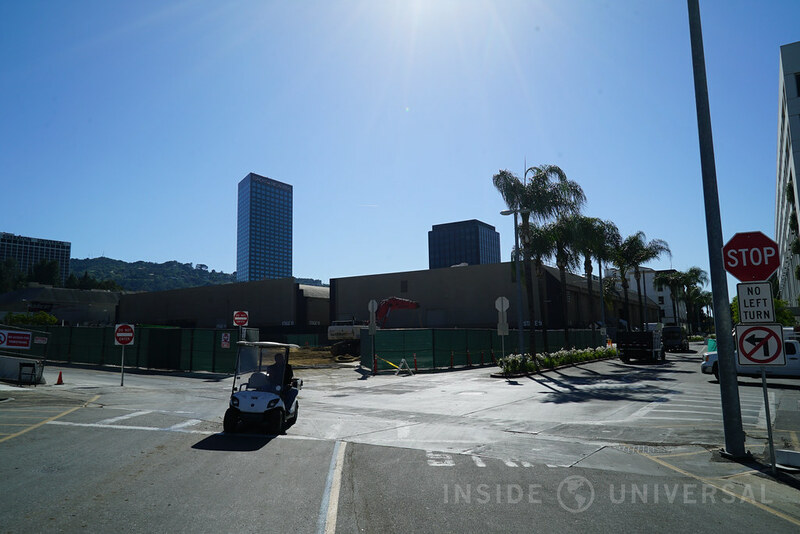 Be sure to stick with us at InsideUniversal.net for all the latest news from Universal Studios Hollywood. 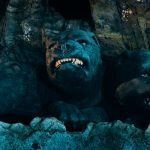 Until then, we’ll see you in the next update.